On sale at $1,99 10/4/2016 - 10/10/2016! When you have witnessed someone who has lost weight what is the first question that you have asked? More than likely it was, "How'd you do it?" Here is a different question to ask; "How'd you do it and how will you keep it off?" Too many of us do not consider the last part of that question. After doing the lose weight gain weight tango one too many times, author Pamela Burke made it a mission to focus on the last part of the "How'd you do it and how will you keep it off?" question. 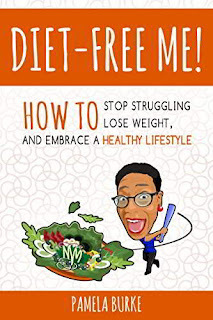 She takes you on her personal journey of how she lost 75 pounds leaving you with honest questions to ask yourself and loads of useful information to assist you with living your own "How will you keep it off?" journey. It is quick, fun, and informative read. Get your copy today.